We are not what we eat, but what we digest! The human small intestine is around 25 feet long (7.6 meters), whereas the dog’s small intestine is around 12.8 feet long (3.9 meters), so in effect humans have a greater opportunity to absorb what we has been eaten than dogs. That being the case just as important, if not more so, as what you feed your pets, is what of it they are able to digest. 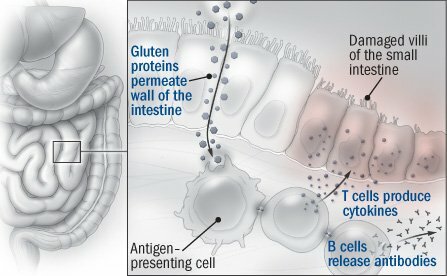 The villi and microvilli of the intestinal tract can get clogged up and even damaged by what has been eaten. Digestion can be improved by the regular addition of Aloe Vera to the diet. If you’d like to learn more about Aloe Vera check out our dedicated Facebook Page – ‘Healthful Aloe‘ or visit our Online Shop.